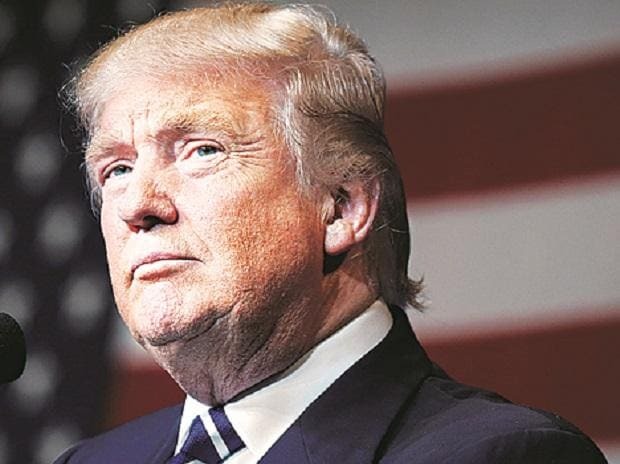 President Donald Trump said on Friday the US Federal Reserve should lower interest rates and take other unconventional measures to ease pressure on an economy that he said they slowed down. “I think they should drop rates,” Trump told reporters. “I think they really slowed us down. There’s no inflation.” The US president also suggested that the central bank pursue an unconventional monetary policy called “quantitative easing”that was used to nurse the economy back after the global financial crisis. The technique used from 2008 to 2014 involved buying trillions of government-sponsored bonds. Trump's repeated public attacks on Fed policy and his intention to nominate two political allies to the central bank's board of governors has led some analysts to see the economic policymaker's cherished independence as under attack. The White House has said it does not wish to undermine the central bank’s independence. The renewal of quantitative easing, Trump said, should be in addition to interest rate cuts - a likely worrying thought, at this point, for Fed officials who describe such a combination of tactics as only appropriate in a dire downturn. On Thursday, Trump said he plans to nominate his political ally Herman Cain, the former head of Godfather's Pizza, to one of two vacancies on the Fed's seven-member Board of Governors.